With androids in control of Earth, and humans relegated to colonies on Mars and the outer planets, tensions are rising, and war looks inevitable. Looking for a way to escape the looming conflict, Alexander and Catalina de Leon board the Liberty with 70,000 other colonists on a voyage to Proxima Centauri, but it’s going to take them nine years to reach their destination, and a lot can happen in nine years. 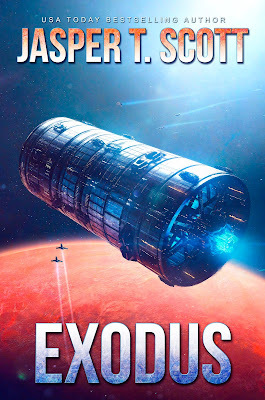 As the trip progresses, everything that can happen does, and what was meant to be a monotonous voyage becomes a fight for survival against mysterious forces that threaten not only the passengers and crew, but the entire human race.